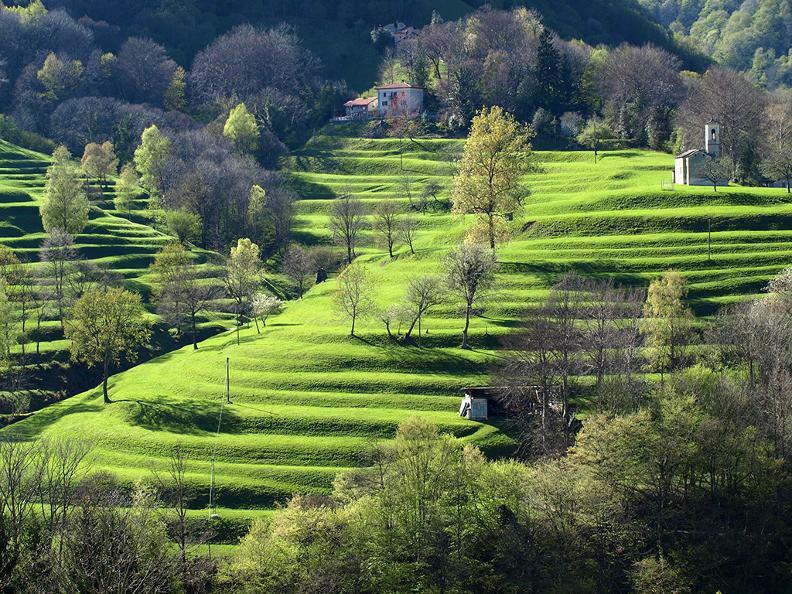 Discover the Muggio Valley, Switzerland’s southernmost vale, while walking past chestnut woods, graa (two-storey buildings used for storing chestnuts), water mills, bird snares and nevère, the so-called “refrigerators of yesteryear”. Our proposed route encompasses the landscape, real life and unchanged traditions of the valley: an outdoor museum, immersed in nature, waiting to be discovered. 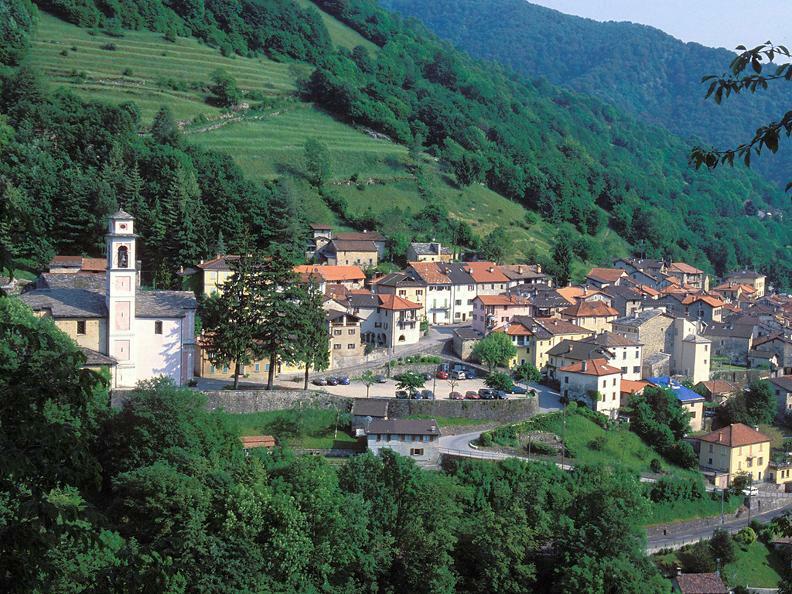 The enchanting village of Bruzella, at 593 m.a.s.l., is just a fifteen minute car journey from Mendrisio. Your itinerary starts and finishes in the centre of this settlement. Departing from the church, right in the heart of the village, follow the main road for a short distance towards Cabbio, before taking the old mule track on the left after 200 m. In 400 m you will come to a fork. 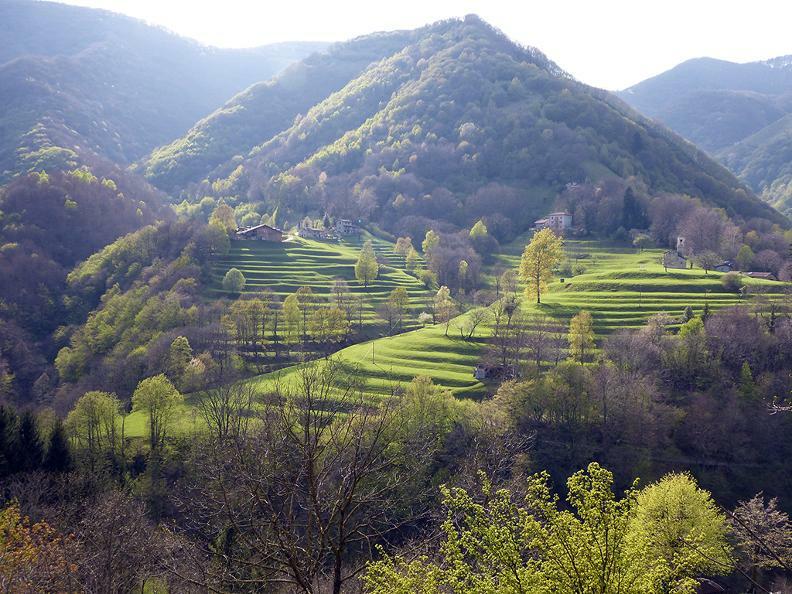 Take the left branch and head down to the beautiful valley bottom carved out by the River Breggia. Cross the bridge and make your way up the hairpin bends towards Casima. 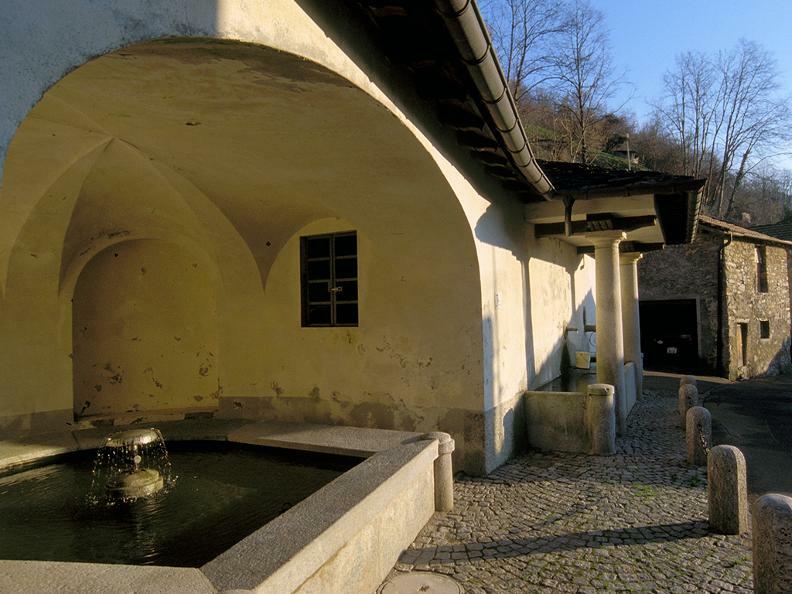 Continuing north, pass by the church and, after crossing the main road, take the path that winds its way through pastures and forests, crossing streams and offering panoramic views over the valley. After a short climb you will come to the shady “Valletta” moat and the “Tur dell’Alpe” pasture. Leaving the Alpine farmhouses behind you and bearing right, make your way to the small church of San Giovanni. 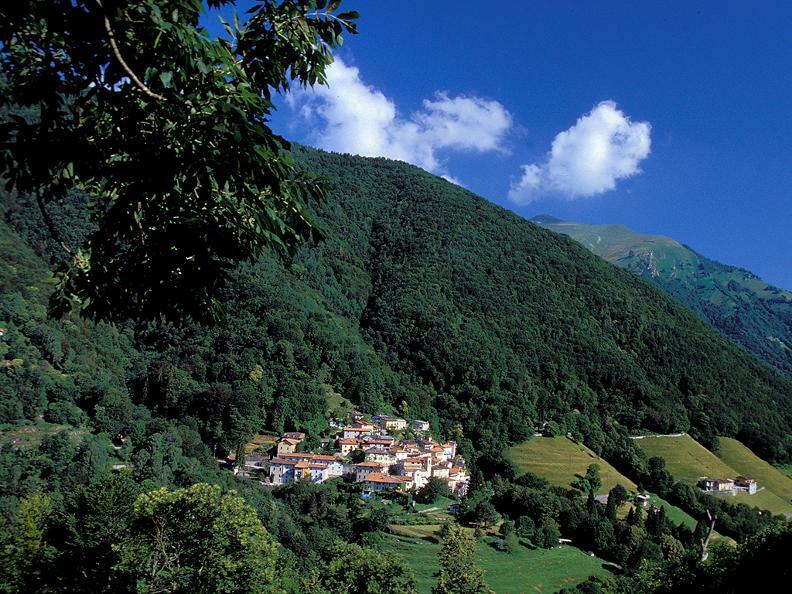 After crossing the stream for the second time, you will find yourself in the delightful village of Muggio, at 661 m.a.s.l. 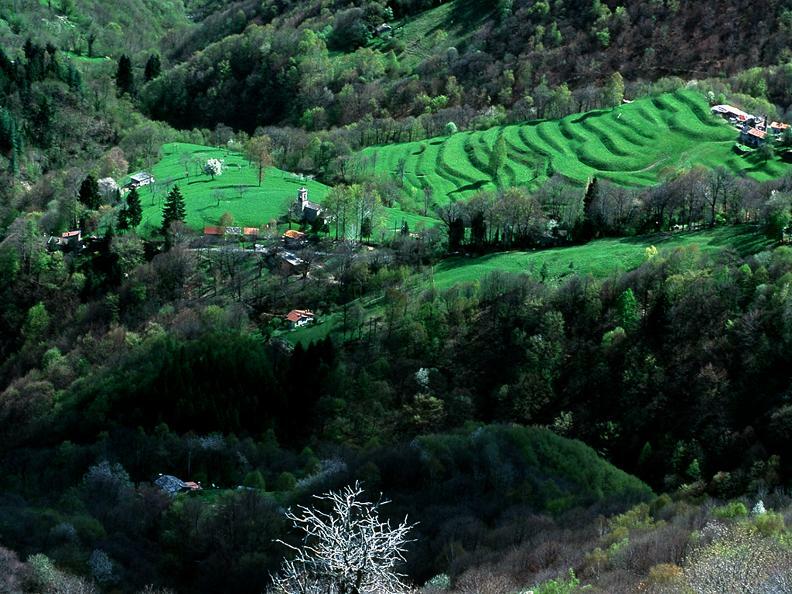 Following the main road south, continue past the church and take the path for Cabbio, home to the Ethnographic Museum of the Muggio Valley (MEVM), which is well worth a visit. 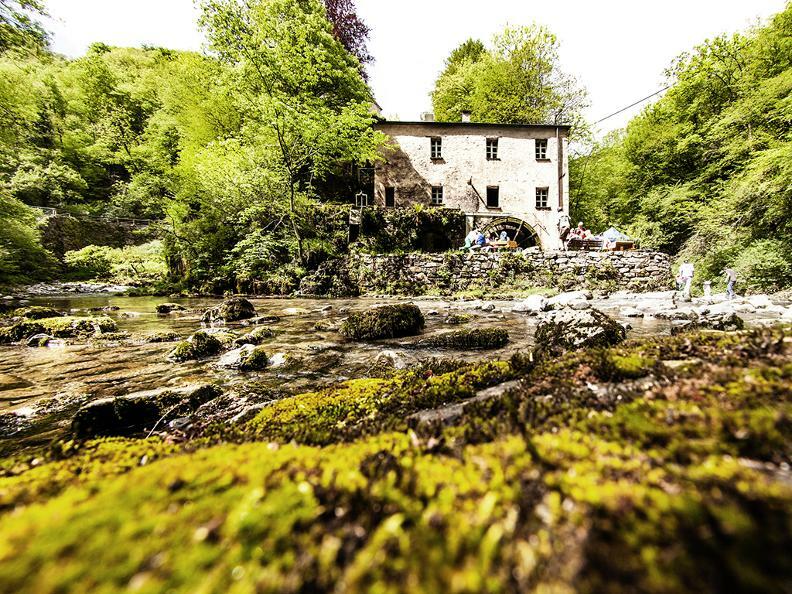 Leaving Cabbio behind and continuing south, you will come to the wide path leading to Bruzella Mill, a working mill that has been fully restored. It is open from April to October every Wednesday and Thursday afternoon and usually three Sundays a month. It also sells its own artisanal polenta flour. Return back up the forest road from the mill until you find yourself back in the centre of the village of Bruzella, where this excursion ends. 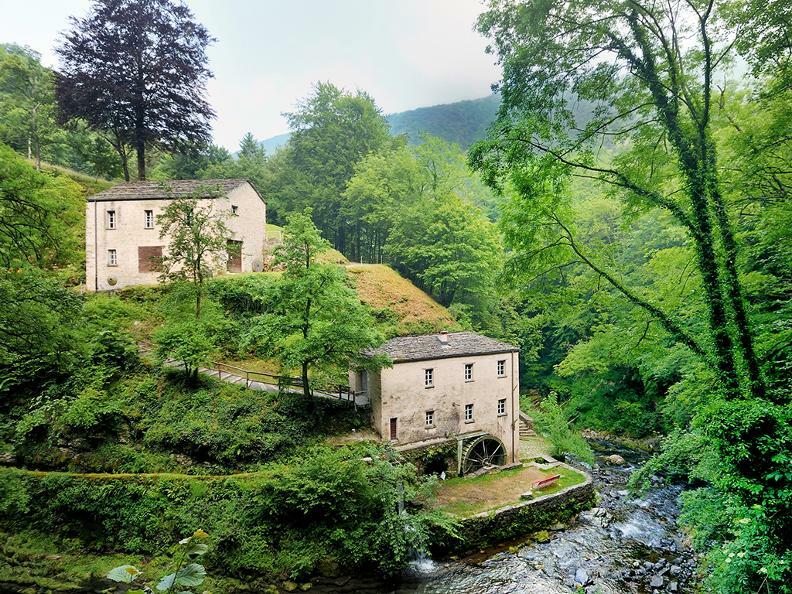 The opening days and times for the Ethnographic Museum and Bruzella Mill can be found on the website of Cabbio Ethnographic Museum, www.mevm.ch, which also features a calendar of traditional events held in the valley.